Our elegant collection of centre door knobs suit all applications from a country cottage, town house or high street shop. 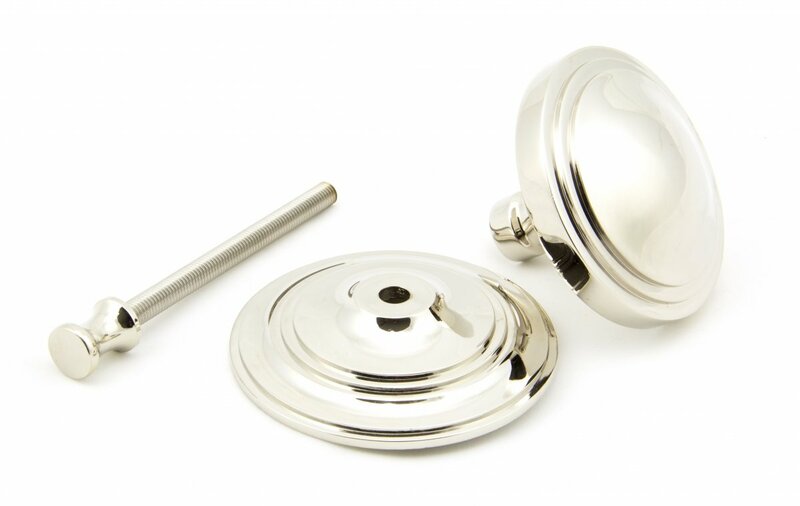 Our art deco range is forged from solid brass which emphasises the high quality materials and manufacturing techniques used. A perfect design choice for external doors with matching products available. 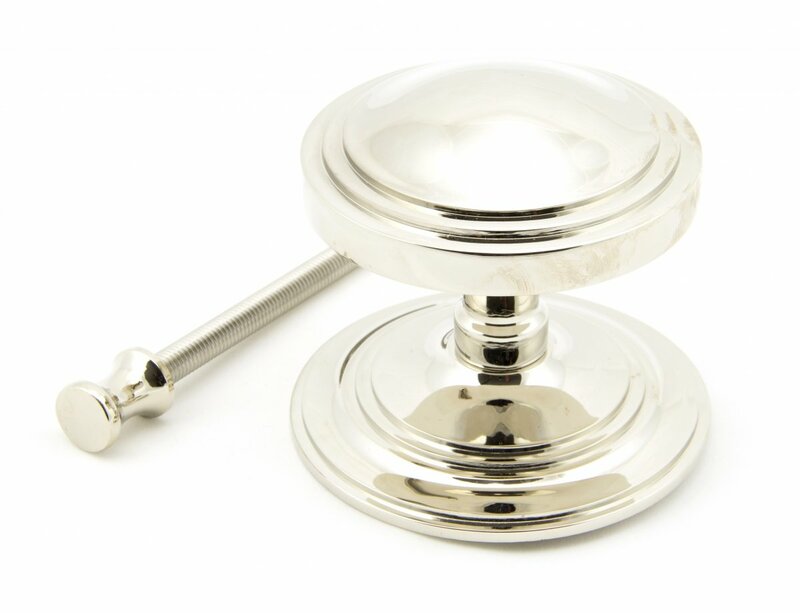 A highly polished finish with a nickel plating applied to solid brass which is salt tested to 480 hours. 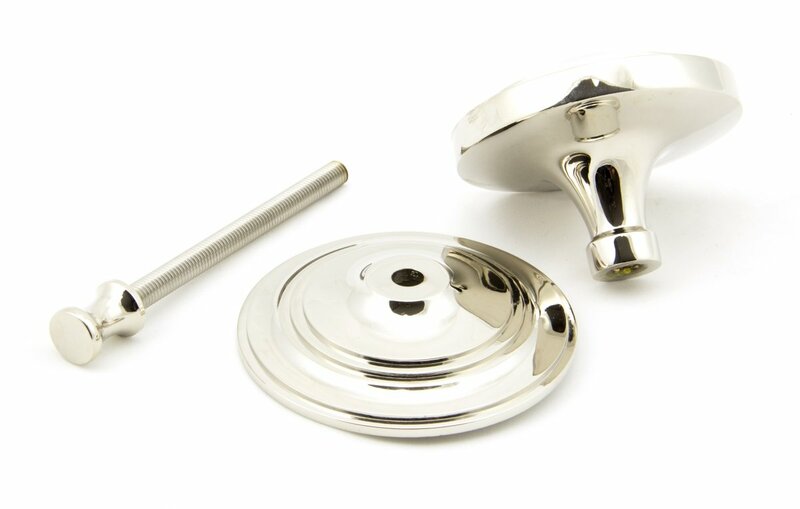 Similar to a polished chrome finish but with much warmer tones. 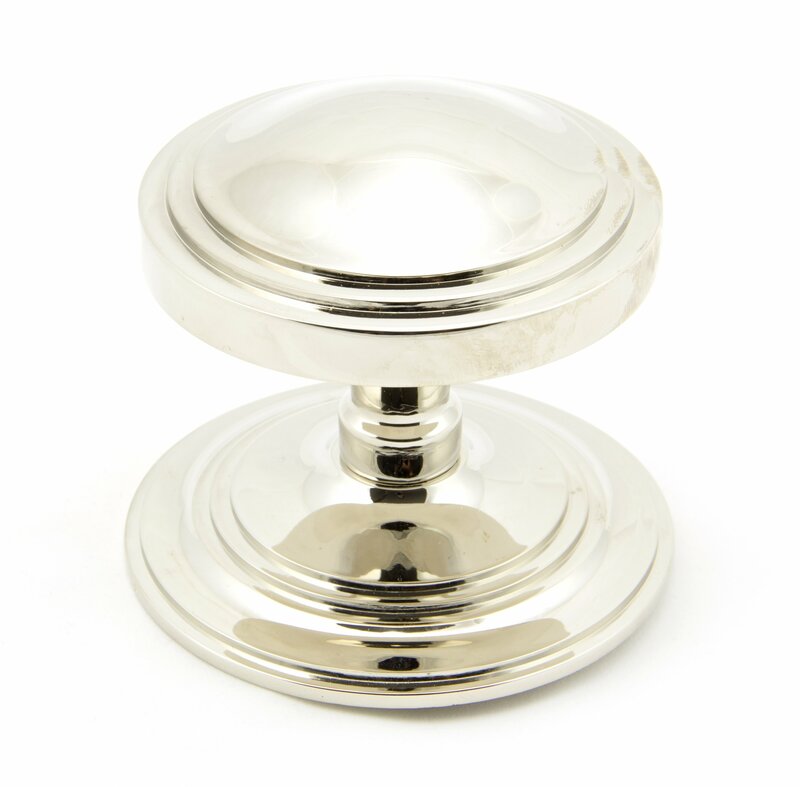 Designed to match our art deco door knocker to create a uniform feeling on your front door. 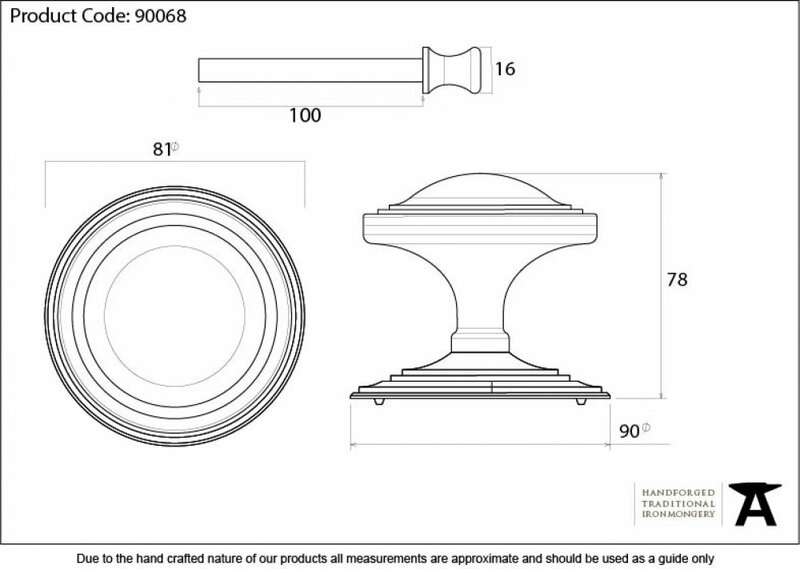 Our centre door knobs also include a location pin on the rose to stop any unwanted movement during the life of your product. Supplied with M8 x 110mm stainless steel threaded bolt for bolt-through fixing.